29 January 2018 – On 31 August 2017, MEP David Martin (S&D) issued a Parliamentary question addressed to HR/VP Federica Mogherini concerning the worrying situation in Saudi Arabia, where an increase in death sentences against political dissidents, including members of the Shia religious minority, has been reported since the leadership changed in June 2017. Saudi Arabia is one of the most frequent executioners in the world, together with China and Iran, and has put to death more than 400 people since the beginning of 2014, most of them for murder, drug-related crimes, and terrorism. In 2017, the number of death sentences against political dissidents, specifically members of the kingdom’s Shia Muslim minority, has dramatically increased. On 2 October 2017, the total number of people put to death in 2017 reached 100, with 60 executions coming since Mohammed bin Salman was appointed Crown Prince on 21 June. According to Amnesty International, since the leadership change, the government has been on an execution spree with an average of four people per week. Forty percent of these executions were related to non-violent drug offences. In 2017, the regime executed 137 people. Furthermore, there has also been a dramatic spike in the number of death sentences imposed for participating in peaceful protests, some of which against juvenile offenders, including four Shia sentenced to death for participating in protests in 2012 when they were under 18. However, as a state party to the Convention on the Rights of the Child, Saudi Arabia is legally obliged to ensure that no one under 18 at the time of a crime is sentenced to death or to life in prison without the possibility of release. The number of executions in Saudi Arabia has recently spiked, with an increase in death sentences against political dissidents, including members of the Shia Muslim minority. Thus far, the Saudi government has executed 74 people in 2017. On 10 July, six prisoners were executed for murder and drug offences; four followed the next day for terror-related offences in connection with their participation in anti-government protests. On 23 July, the families of 14 Saudi men learned that the Supreme Court had ratified their death sentences after a grossly unfair trial based on ‘confessions’ obtained under torture. They were found guilty of crimes related to their alleged participation in anti-government demonstrations. On the same day, in a separate case, the families of another 15 men, accused of spying for Iran, learned that the Court of Appeal had upheld their death sentences. Others currently on death row include four Saudis, whom courts found guilty of offences committed when they were children. 2. What measures is the VP/HR planning to take to encourage Saudi Arabia to end its use of the death penalty, in particular for non-violent crimes? The High Representative/Vice-President is well aware of the issue raised by the Honourable Member. The level and pace of executions in the Kingdom of Saudi Arabia is a matter of serious concern for the European Union (EU), with capital punishment being increasingly imposed for political dissent and for non-lethal offences such as drug crimes. Over the past several months the EU has engaged formally and informally with the Saudi authorities, in close coordination with EU Member States represented in Riyadh, to request additional information on various individual cases, while conveying EU concerns for these worrying developments. The EU continues to reiterate its principled position on the death penalty, highlighting the need to respect United Nations minimum standards, especially in relation to the execution of minors. These EU efforts are part of our regular and wider dialogue with Riyadh on human rights. The EU continues to follow closely the individual cases mentioned by the Honourable Member both from Brussels and locally via the EU Delegation in Riyadh. ECDHR welcomes EU engagement with Saudi authorities on this worrying issue and appreciates its efforts in following the recent cases raised by MEP Martin. Together with EU institutions, ECDHR condemns the use of death penalty by Saudi authorities and reaffirms its strong opposition to capital punishment in all circumstances without any exception. Accordingly, ECDHR urges Saudi authorities to impose a moratorium on all executions and to commute all current death sentences with a view toward the abolition of capital punishment. 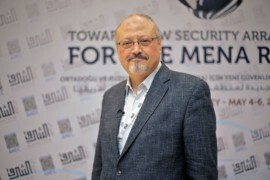 In particular, ECDHR calls on Saudi Arabia to halt the use of executions against individuals expressing peaceful dissent, and in all cases where due process violations have occurred, including the use of torture. ECDHR recalls that Saudi Arabia is a state party to the Arab Charter on Human Rights which limits the use of death penalty to “the most serious crimes”. We therefore condemn the regular and arbitrary use of death penalty by Saudi authorities for participating in protests, or non-violent drug offenses, in contradiction with international minimum standards and, ratified by the Kingdom.